Big Island police have arrested 10 individuals in connection with a drug-related burglary ring. On September 12, police arrested 31-year-old Joshua Watan of Kealakekua. On September 14, detectives charged him with criminal trespassing, meth trafficking, promoting a dangerous drug and two counts of possessing illegal drug paraphernalia. While Watan was still in police custody he was rearrested and charged on September 15 with burglary, promoting a dangerous drug, possessing illegal drug paraphernalia and four counts of theft. His bail for all the above offenses was set at $428,000. In addition, he was arrested for discharge of sureties (for having a previous bail revoked) and for revocation of release on bail, which is an offense that doesn’t allow him to be released on bail. Also on September 12, police arrested 51-year-old Nicole Adams of Captain Cook on suspicion of hindering prosecution for hiding Ryan Jeffries-Hamar, who was wanted for escape. On September 13, she was charged with that offense. Her bail was set at $2,000. On September 13, police received a tip that 36-year-old Curtis Hoku Kekahuna of Kamuela, whom police were seeking, was at a home in the Kalaoa area. When police went to the property they found Kehahuna and methamphetamines at the scene. They arrested Kekahuna, 28-year-old Halatoa Fakatoumafi of Kailua-Kona and 22-year-old Gensyn Waltjen of Hilo on suspicion of drug offenses. While on the property, police located a vehicle that had been stolen from Hilo. A search warrant led to the recovery of two additional vehicles that had been stolen from Hilo and Kona. Also on September 13, 39-year-old Jessica Tuifua of Kailua-Kona was arrested on suspicion of hindering prosecution (for hiding Kekahuna from police). 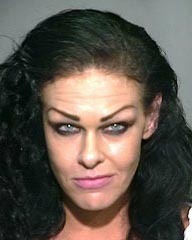 She was charged with that offense on September 15 and her bail was set at $2,000. Waltjen was released on September 15 pending further investigation. Kekahuna was charged on that date with promoting a dangerous drug, possessing illegal drug paraphernalia and three counts of unauthorized control of a propelled vehicle. He was also arrested and charged on four outstanding warrants as well as for discharge of sureties and held without bail for the charge of violating terms of release on bail. His bail for the above charges was $83,000. In addition, Kekahuna was charged with kidnapping, assault, terroristic threatening and burglary for an incident that occurred August 21 in Kailua-Kona. Those offenses added another $87,000 to his bail total. Additionally on September 15, police charged Fakatoumafi with promoting a dangerous drug, possessing illegal drug paraphernalia, promoting a detrimental drug, two counts of unauthorized control of a propelled vehicle and hindering prosecution (for hiding Kekahuna from police). His bail was set at $6,250. On September 17, Sean Gregory of Kailua-Kona was arrested on suspicion of two counts of unauthorized control of a propelled vehicle in connection with a vehicle that was taken from Waikoloa in July and an all-terrain vehicle that was taken from the Kalaoa area on September 15. 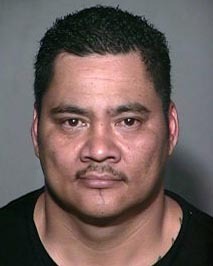 He remains in police custody at the Kona cellblock while police continue the investigation. 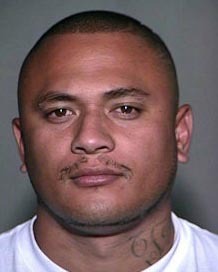 On Tuesday (September 18), Joseph Narzisi, who was already in custody at Hawaii Community Correctional Center, was arrested and charged for a kidnapping case that occurred August 21 in Kailua-Kona in which a suspect forced his way into a 26-year-old man’s home, assaulted him and threatened him with a firearm, before forcing him into a vehicle, where the threats and assault continued until the victim was able to escape. The victim declined treatment for his non-life-threatening injuries. Police recovered a firearm in connection with that case. Narzisi’s bail for that offense was set at $87,000. Also on Tuesday, 20-year-old Colvin Gaspar of Kailua-Kona was arrested on suspicion of hindering prosecution (for hiding Kekahuna). He was charged Wednesday morning (September 19) with that offense and his bail was set at $2,000. And finally, on Tuesday, police arrested 24-year-old Daniel Estocado on suspicion of unauthorized control of a propelled vehicle for a February 24 incident in Kona and on suspicion of burglary for an August 27 incident in Kealakekua. 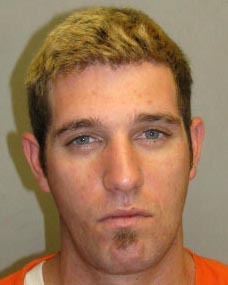 He is being held at the Kona police cellblock pending further investigation. Police are still searching for 24-year-old Joel Landsborough of Kailua-Kona, who is wanted for a $300 warrant for contempt of court. 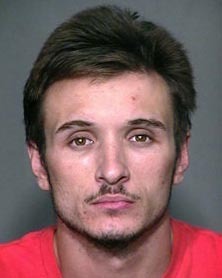 He is described as 5-foot-8 and about 145 pounds with brown eyes and brown hair. He has a tattoo of the Hawaiian islands on the right side of his chest. 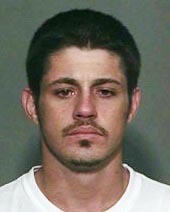 Police ask that anyone with information on his whereabouts call the Police Department’s non-emergency line at 935-3311.